Tonasket is a beautiful city. With nearly 40 acres of parkland & 200 sunny days a year; there's always something new to discover. Go exploring and you will find: hiking trails, a skate park, soccer fields, playgrounds, easy access to the Okanogan River, and more. The city have been recognized as a "Tree City" by the Arbor Day foundation for over 8 years. You can learn more about the Tree City program here. Explore Our Parks! Click on a marker for more information.. This park adjacent to the Tonasket Visitors and Business Resource Center, City Hall and the Police Station, was completed in 2010 through significant volunteer efforts. 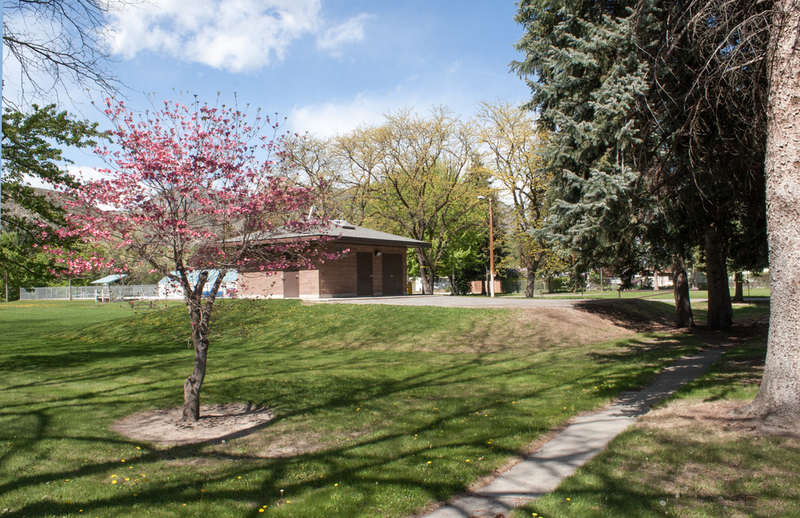 The park provides history on the founders of the community and includes parking, and picnic and small camping areas for bicyclists. This park, Tonasket’s oldest, was developed in the mid 1940’s and is located in a residential area on 5 acres with 400 feet of shoreline on the Okanogan River. Existing facilities include a basketball court, picnic tables, open area for games and concerts, and a variety of children’s play equipment. The park is lighted and fenced for security. This park was developed on property south of the City’s waste water treatment lagoons and annexed in 1986. The park is bounded on the east by the Cascade-Columbia Railroad tracks, on the west by the Okanogan River with approximately 2,000 feet of shoreline and on the south by undeveloped private property reserved as a wildlife area. This 22 acre site was originally developed with volunteer labor and donated money, materials and equipment to include two small soccer fields for youth play, two regulation soccer fields, 1 softball field, 1 little league baseball field and two parking areas. The two regulation soccer fields partially overlap the baseball fields, which restricts simultaneous use. The majority of the site is planted with grass and as of 1994 the park is irrigated with an automated underground sprinkler system installed by the City. Access to the park is via Railroad Avenue. A boat launch, picnic shelter, picnic tables, restrooms, parking lots and a riverfront trail were added along the shoreline portion of the park in 1993 and 1994 with the assistance of matching funds provided by the Washington Department of Natural Resources Aquatic Lands Enhancement Account. In 1994, a local resident and retired business person, John Figenshow, donated to the City several acres of riverfront property to the south of the park that is recognized as having significant habitat value by the Washington Department of Fish and Wildlife and the U.S. Fish and Wildlife Service. It is also the site of a Bureau of Reclamation fishery mitigation site. Presently, activities that cause this park to be in high demand include: soccer, river walks, baseball, a BMX track, a Skate Park, fishing, river floating, picnicking, wildlife observation and general relaxation. This neighborhood park was developed by private landowners and donated to the City. The park consists of an acre of lawn in a triangular shape at the intersection of State Street, Second Street and Antwine Avenue. Trees growing along the State Street side provide a nice shady area for relaxing and watching the children play. Added to the park was playground equipment for small children, donated and installed by the local Junior Women’s Group. This park was developed during the spring and summer of 1989 in a joint effort of the City and the Tonasket Chamber of Commerce. The .8 acre site is leased from the Burlington Northern Railroad and is located in the northwest area of Tonasket near the corporate limits and is bounded on the west by the Columbia-Cascade Railroad, on the north by Winesap Street, on the south by industrial property and on the east by Western Ave. During the spring and summer of 1989 the site was developed into a visitors center with the addition of a small building used as a tourist information center and 8 RV hook-ups. 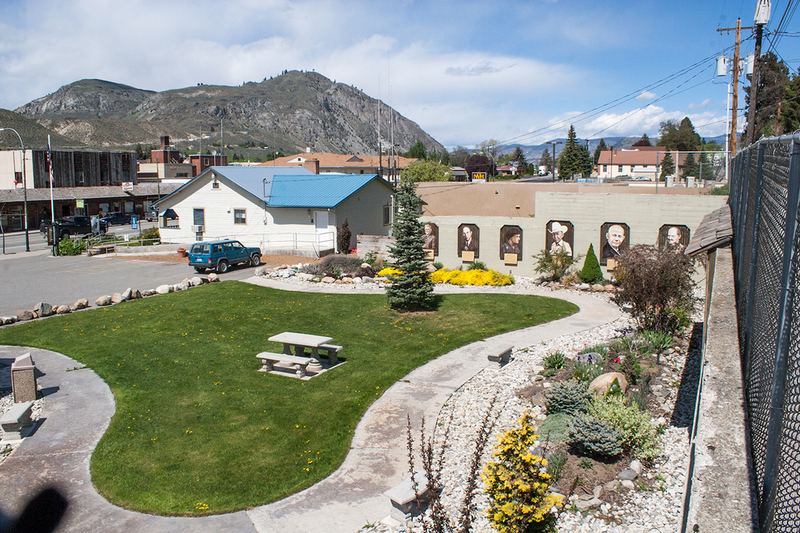 This small park area is located between Western Ave. and State Highway 97 in close proximity to the Chamber of Commerce RV Park. The 1/3 acre site is primarily a grassy open space area with shade trees and picnic tables. The Farmer's Market is held here every Thursday during the summer months.